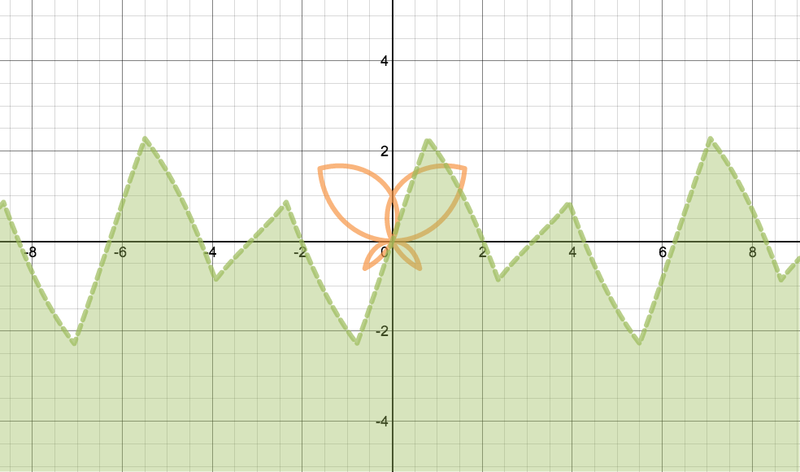 The butterfly and the grass are images of the same function. 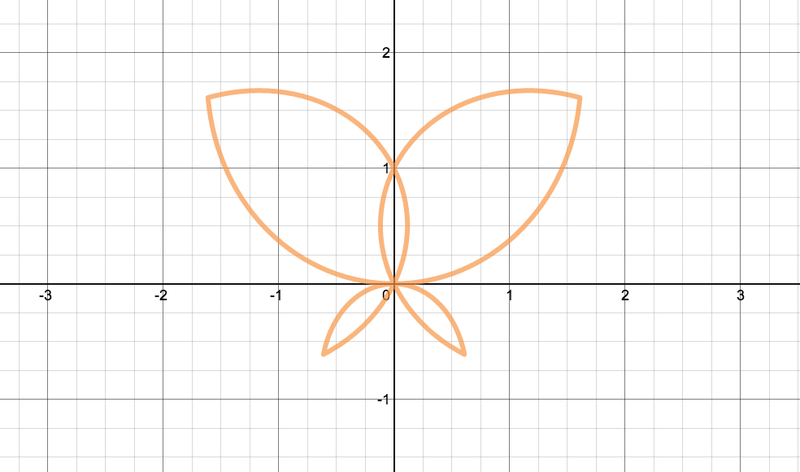 The butterfly is the function represented as a polar equality. 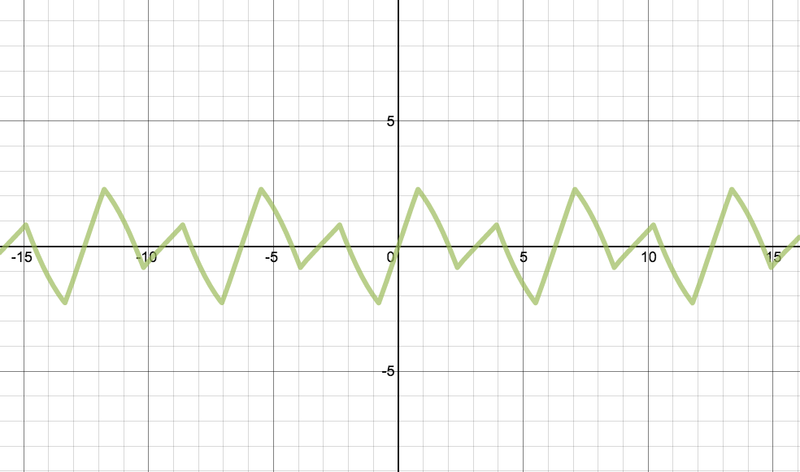 The grass is the function represented as a Cartesian inequality. I didn’t know where to begin so I cheated and looked at Michael’s solution. Then I figured out a way to make it jagged—but it’s TOO jagged! Looking for a middle way…. How do you make it bigger ?